As a part of LinkedIn’s grand and new redesign plans to simplify site use and grow it into your everyday go-to source for social media, LinkedIn announces its new notifications feature. 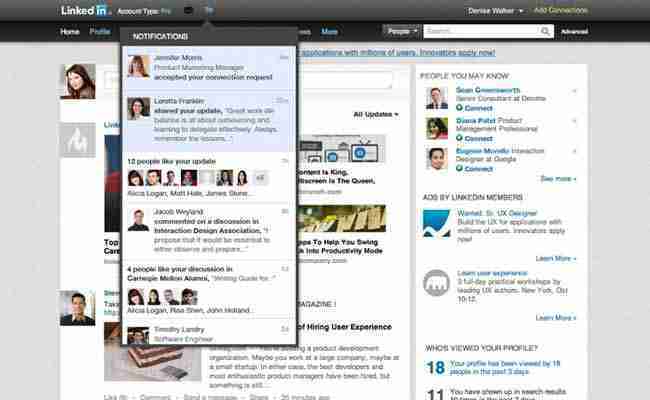 On September 5th 2012, LinkedIn services announced a new notifications feature, which will keep you notified in real-time when someone likes what you’ve shared on LinkedIn, views your profile, accepts your invitation, and much more. Very similar to Facebook! The LinkedIn professional networking platform adds icons to the top left corner of a member’s homepage, including a tiny flag that features a red round circle when new activity occurs. LinkedIn notifications will be coming to mobile devices and ipad shortly, so be on the look out. This feature will help you stay more engaged with your network and make LinkedIn for business even better and more robust – thanks LinkedIn! Look for a notification flag at the top of your LinkedIn homepage to find your new Inbox envelope icon. A red circle now displays when you have something new happening LinkedIn, such as comments or likes on your shares, an accepted connection request, new inMails and more. This new feature is one of the platform’s ongoing effort to make it easier to keep engaging more conversations within your network. 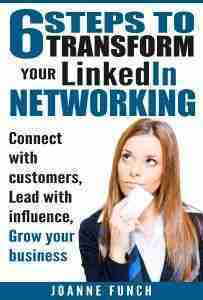 LinkedIn has become more robust due to members new ability to notify other members whenever their contacts interact with them in a number of ways. One is when someone likes something they posted. These LinkedIn notification alerts will be added shortly. While LinkedIn began the process of rolling out this feature Wednesday, it may take a number weeks to be activated in your account. Meanwhile, prepare to maximize your use of LinkedIn.